Censorship and teasing is nothing new in the world of tech. Companies such as Apple, Samsung and many others have often done that to entice and excite customers. 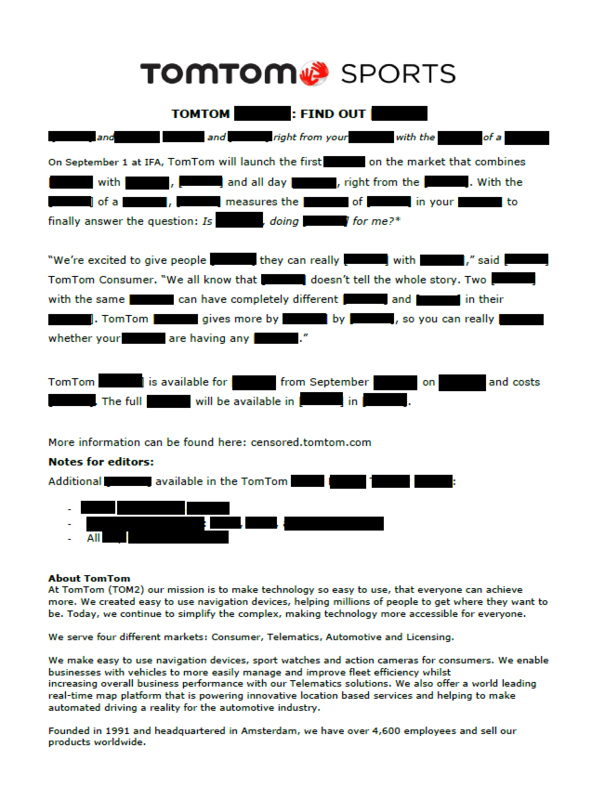 TomTom has taken the same route, although tongue in cheek, for their latest announcement. You can find out more in their video below. We think it’s a fitness wearable with built in GPS. What do you think? The real announcement will be made at IFA next week, with a following event in London a week later.